Zivania is a traditional alcoholic beverage, which has been produced for centuries in Cyprus by distillation, and has played an important role in the everyday life of Cypriots. 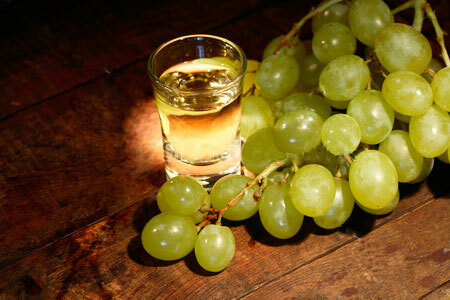 Zivania is a strong drink, high in alcoholic content which according to tradition (also adopted by the 1998 Regulations for the Control of zivania) it is a distillate produced only from grapes. Since 2004, Zivania has been protected under EU regulations as a product unique to Cyprus and as such cannot be produced in any other country or marketed under that name. Zivania is characterized by its typical taste and aroma. It is colorless and it has a pleasant alcoholic content with light aroma of raisins. The typical alcohol content is 45% by volume. It is a pure drink that contains no sugars and has no acidity. Historical references on zivania are few, probably because travellers and writers focussed on the excellent Cyprus wine, leaving behind zivania. Giovanni Mariti1 in the late 18th century tells us of a drink which he names ‘Acquavite’ with a description that resembles perfectly with zivania. He also mentions that this drink was used by the locals and was also exported to Syria. Evidence of its continued production during the Ottoman and British occupation of the island comes from British writer Samuel Baker2 who in 1879 reports: “…the refuse of skins and stalks is laid upon one side to ferment for the manufacture of raki, or spirit, by distillation…”. Until 1949 wine producers used to sell zivania to merchants of wines and spirits. In that year a colonial decree made the distribution of zivania by the wine producers illegal (because the government found it too difficult to collect excise duties), thus sending production underground. As a result, zivania was produced domestically in small quantities for private consumption or it was sold to the government, which redistilled it and produced high quality spirit which was in turn used both domestically and abroad as a base for the production of alcoholic beverages and other products. The above-mentioned colonial decree was abolished in 1998 and ever since the production of zivania has been legal, allowing producers to market it under its proper name. Quality control is ensured by the Vine Products Commission according to the Rules and Regulations of 1998 for the control of zivania. These regulations specify the requirements for obtaining the licence to produce and bottle zivania. Zivania can only be produced in industrial units which have received approval from the Customs Department of the Government and its distillation apparatus have been approved by the Ministry of Agriculture, Natural Resources and the Environment. As a result of the new regulation, zivania quality improved significantly since it is now produced on an industrial basis and hence consumption increased during the last decade. When distillation (the separation of the constituents of a mixture) is applied to fermented liquid, the result is a considerably stronger alcoholic liquid: brandy in the case of wine, whisky in the case of fermented barley. The process, which preceded the distillation of alcohol, was the practice of medieval alchemists, which reduced solids to fine powders. The Arabs refined this process in the early Middle Ages, using it to make elixirs, perfumes and medicines by extracting the essences from flowers and fruits. The distillation of drugs was already known in the Arab world of the 10th century. As a result, we still use the word “alcohol” (al-kuhl) of Arabic origin. Alcohol was prized for its medicinal qualities and it was known as aqua ardens (burning water) or aqua vitae (water of life). During the course of the Middle Ages, alcohol distilled from wine passed into the hands of specialist “water-burners” and vintners. It was recognized as a beverage. For centuries, distillation was used as a means of using up old wines, or a too-abundant harvest. During the course of the 18th century, the spirits industry developed. The principle is simplicity itself: alcohol and many other impurities boil at a lower temperature than water. Of course, distillation is only one stage in the production of a fine spirit, such as zivania, gin, vodka or whisky. Zivania is produced from pomace, the residue of grapes that were pressed during the winemaking process mixed with high-quality dry wines, all produced from the local grape varieties of Cyprus. Zivania is exclusively produced by the distillation of the two indigenous varieties, namely Mavro and Xynisteri. Zivania may also be produced by other, either local or imported varieties, but the variety used must be distinctively indicated on the label, for example as Zivania Cabernet or Zivania Maratheftiko.The grapes must be unblemished, neither crushed, rotten or overripe, and they must contain relatively high acidity. The process adopted for the fermentation is the one which is used for red wine making, irrespective of the grape varieties, without the addition of SO2 as a preservative. That means that the whole grape mass is fermented, as it emerges after crushing the grapes. The bouquet of zivania is ensured by the volatile compounds which are transferred from the grape residue during distillation. The pomace/wine mixture is distilled in special distillation apparatus which was traditionally named ‘lambikos’, an ancient Greek word that was paraphrased by the Arabs. Traditional distillation, as known by villagers, has today given way to modern technology and zivania is produced in large distillation tanks made from stainless steel where the wine is mixed with the grape mass (zivana) and heated up in steam. All approved zivania producers have in-house chemical labs for analysing the final product before this reaches the market, checking that methanol levels are within the specified limits. Ethyl alcohol (grade) 43-52% vol. There are of course similar products from other countries, which derive their name from the term used to describe the grape marc (the refuse of pressed grapes). For instance, the name zivania in Cyprus comes from the word zivana. 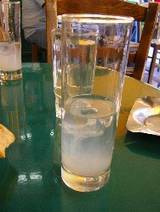 In mainland Greece the distillate is called tsipouro, in the island of Crete tsikoudia, in Arab speaking countries arak, in Bulgaria rakea, in Rumania tsuica, in Italy grappa in France eau-de-vie in Slavian states vinovice and so on. Not all of these drinks are made exclusively from grapes. The authentic taste and “aroma” (which is a Greek word, meaning “pleasant smell”) of zivania is due to its unique chemical composition and it is ensured by the volatile compounds which are transferred from the grape residue during distillation. 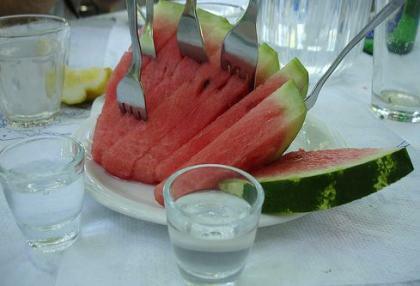 It is believed that the differentiation between zivania and other alcoholic beverages is related to the unique geological and climatic conditions existing on the island of Cyprus, the methods of production and distillation and the type of grapes. Climate of course influences the quality of both grapes and zivania. Cyprus has an intense Mediterranean climate, with hot, dry summers from June to September, and short spring and autumn seasons. Average mean temperatures during ripening strongly influence potential wine and zivania style. Sunlight duration is also very important and it acts mainly by controlling the sugar in grapes. The most critical period for quality of the grapes is around the start of ripening. Good conditions ensure an ample reserve of sugar in the grape and flavour and aroma compounds in zivania. Wind intensity and relative humidity and evaporation affect both quantity and quality of grapes and zivania. The geological history of the island is responsible for a great variety of rocks and soils. The soil has many attributes that can influence the vine grown in it and thence the quality of both grapes and zivania. Soil nutrients are taken up by the plant’s root system. The amounts of nutrients that are available to the vine depend on the soil’s mineralogy, the amount and nature of organic matter, and also the soil’s pH (acidity and alkalinity). Recent studies carried out by the Department of Chemistry of the University of Cyprus have examined the chemical composition of zivania, to prove that zivania is geographically unique, and to pursue a set of standards for its production. A lot of different variables were analyzed to compare the composition of Cypriot samples with that of other comparable spirits produced in other countries. The study included both commercial and home produced samples. Statistical techniques investigated which of the variables analyzed constitute diagnostic parameters that establish authenticity of the traditional spirit zivania. The presence of phosphorous compounds in the ground was unique to zivania. The content of metal elements of the samples helped to differentiate zivania from other spirits, due to the presence of magnesium, zinc and copper, the combination of which in the soils of Cyprus is deemed to be characteristic. In general, minerals are used for geographical differentiation. The chemical analysis of zivania did not show any problem with methanol, the content of which in other similar drinks occurs in much higher concentrations. Some methanol is naturally present in grapes and further traces are formed during fermentation, but most of the methanol is formed by the de-methylating of the pectin materials that are naturally present in grapes. Spirits, like zivania, in general have rather higher levels of methanol than wine, because the distillation process concentrates it. Consumption of huge quantities of methanol may cause health problems, but it would be impossible to ingest a dangerous level of methanol from zivania. Zivania has been produced by villagers at home, using their own simple equipment and was an important drink, especially during the winter period. Since older times, zivania has found many applications in the daily life of Cypriots as a therapeutic agent for colds, as an analgesic and also as a restorative of consciousness. Zivania is served ice-cold and especially during the winter period it is the perfect Cypriot drink along with meze food. Even nowadays at some villages in Cyprus, visitors will be welcomed to a house with zivania served together with almonds, walnuts, loukoumi, soutzoukos or small appetizers like loukaniko and lountza. Zivania sales have soared in recent years following the replacement of the colonial law of 1949 which prohibited the trade of zivania. Since 1998 when the new regulation was enforced, consumption rose from 60.000 litres to 620.000 in 2006. Zivania has “heroically” survived to this day, based on tradition and also on the efforts of small producers who preserved its special recipe, respecting previous generations. Zivania has remained alive through the centuries and has managed to overcome various obstacles which resulted from legislation and taxation. Today, it faces competition from abroad but, as it is the soundest answer of Cyprus to imported spirits, it is expected that it will prove itself through time.